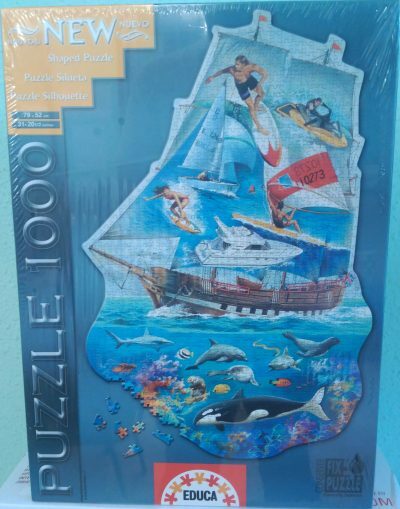 Educa manufactured this excellent puzzle in 1996. The title is Triumph of Saint Ignatius, by Andrea Pozzo. This puzzle doesn’t appear very often and it is now very difficult to find. The puzzle NEW, with its original FACTORY SEAL. This puzzle reminds of the classic 8000 pieces version of Trionfo degli Asburgo, by Luca Giordano, which Educa published in 1998.